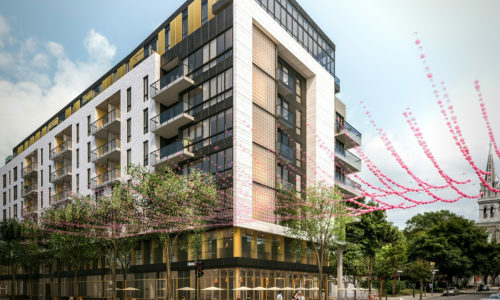 Le Bourbon is a new condo project located on the corner of Saint-Catherine and Wolfe in the heart of a vibrant historic neighbourhood. 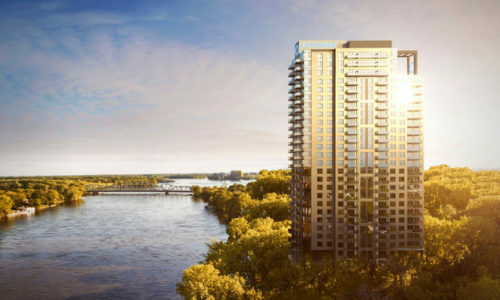 Le Bourbon will be built on the site of the once-iconic Hotel bearing the same name. 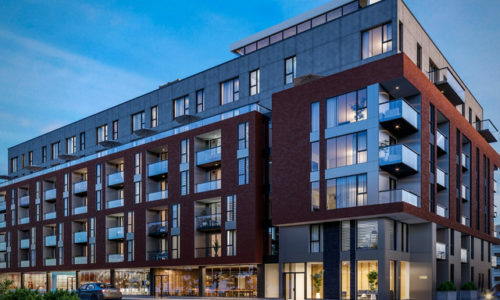 This mixed project offers commercial businesses on the ground level and 103 outstanding condos on the floors above. Distinguishable by its buildings and units, Le Bourbon is synonymous with trendy designs and refined materials. You’ll be captivated by the exceptional rooftop terrace with its stunning outdoor pool and view of the Village. Le Bourbon—a sophisticated lifestyle in the heart of the Quartier des spectacles.